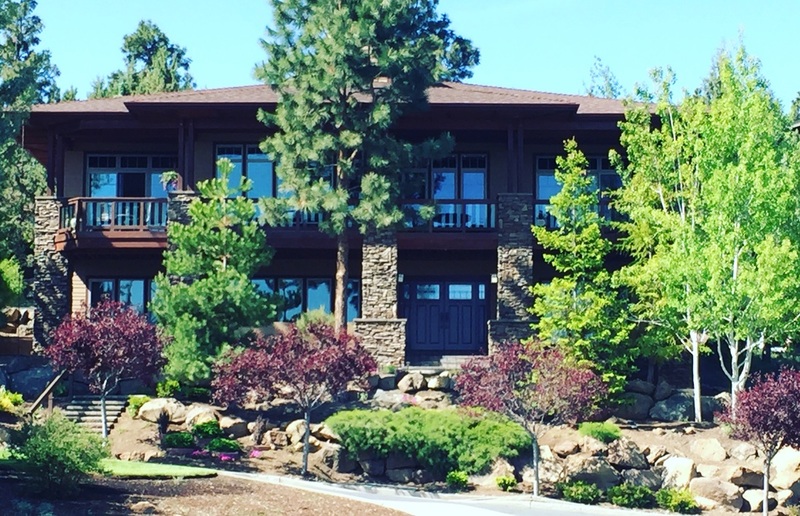 Sage Window Cleaning | Bend Oregon | Customer Reviews - Sage Window Cleaning Inc.
Click here to check out what your neighbors are saying about our services. With over 95 - 5 star google reviews your satisfaction is our number one priority! "Our experience with the team from Sage Window Cleaning was outstanding from start to finish. Every stage of the process, from getting an estimate to having our windows look better than they have in years, was easy, efficient and pleasant. These people truly care about the quality of their work! Additionally, they were so respectful of our home while they were here, that we will not consider having anyone else in Central Oregon clean our windows in the future." "I have been using Sage to clean my windows for four years. The guys always show up on time (or early, via a phone call), and do an outstanding job inside and out, plus screens and thresholds. They have always been meticulous and thorough, quiet and tidy, and respectful of my interior furnishings. Best of all, Bend's dirt and pollen is off my windows and I feel like I'm in a new house again. I highly recommend Sage." ​"Thank you Erin and Ramiro for your 5 star service! I called and was able to get my windows and gutters cleaned within the same week. Ramiro was efficient and did an excellent job. Great communication and happy I could pay by credit card. I look forward to using their service again." "Used Sage on a recommendation from a friend because she had been SO impressed with them. This business has awesome customer service. They answer the phone, return calls, show up when they say they will (literally they stepped on my porch at 0800 for my 0800 appointment) and do a thorough professional job. My windows have NEVER looked this great. Its hard to find this type of service anymore. I will use them again and again and highly recommend them!!!!" "We are totally thrilled with the service Sage Window Cleaning provided! It started with the amazingly fast estimate that took place within just a few hours of our request. Erin was so friendly! We were able to schedule the service right away, both gutters and windows and the service the day of was impeccable. Ramiro was nothing less than stellar, so efficient, polite and friendly. We will be repeat customers for sure! ​"Amazing customer service! We were very impressed with Sage's professionalism and followup as well as how well they cleaned our windows. Overall a very pleasant team to work with and have in your home. We would highly recommend them and will certainly use them again." "Sage Window Cleaning has done a great job cleaning our gutters and windows. Everything is so sparkling and beautiful. I am grateful that they were able to accommodate us quickly and that they made it very easy for us to work with them. Additionally, our home is located on a steeper incline and has windows on top of a high vaulted ceiling. They handled the challenges like the pros they are. I definitely recommend Sage Window Cleaning based on my experience with them." 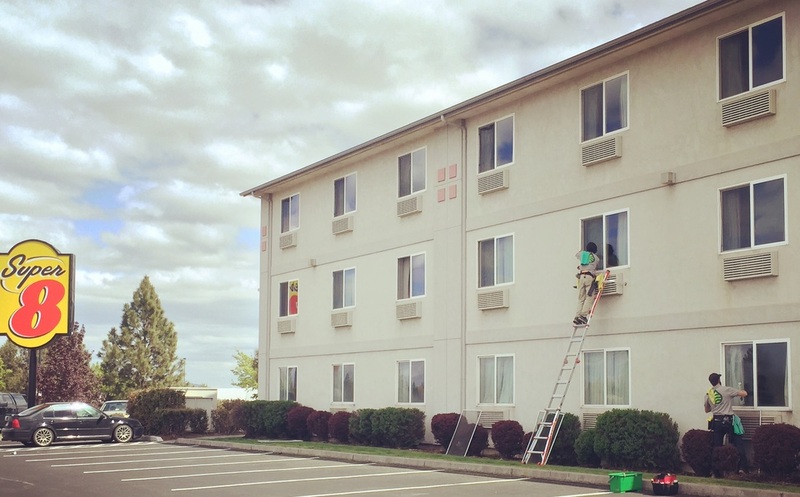 "Sage Window Cleaning just completed washing our windows and screens at a large apartment community in Bend Oregon; they did a beautiful job. We are impressed with their professionalism, standard of excellence and commitment to completing the large job in a timely manner. We highly recommend them and we have already referred them to other Apartment Communities in Central Oregon. In the future, we will definitely use them again. Thank you Sage Window Cleaning for making our lives brighter-literally." ​"Outstanding customer service. From the front office to the team that came to clean the windows and gutters. Friendly and efficient, and did a great job. Will definitely use them again!" ​"I called Sage after reading a recommendation on the next door app and am thankful I called! Erin and Ramiro are a fantastic husband/wife team. Professional and hard working. Customer service and follow up impeccable. Our windows, screens and tracks look amazing. Will definitely keep recommending them and have them back next year." "I called Sage after seeing their marketing sign in a yard of a house in my neighborhood. Erin returned my call right away and came out (the same day) to provide a quote. The guys came out a day or two later, right on time, neat, clean, courteous, and did an excellent job on my windows. I will be using this company again for regular maintenance, and I highly recommend Sage Window Cleaning." ​"Excellent job. Fair price. Highly recommend Ramiro and crew at Sage Window Cleaning in Bend Oregon." ​"Absolutely fantastic service! I will recommend them anytime that I have the opportunity!" ​"They did a great job, were efficient and friendly and priced right. I would highly recommend." ​"I had the windows cleaned on a home that was built in 1916 and apparently had never had the outside windows cleaned! They were very foggy with a lot of mineral build up and I was not sure if they could be fixed. They look absolutely beautiful! Ramiro did such a great job and spent a lot of time and effort to restore the windows. It completely changed the feel and look of the house. I highly recommend Sage Window Cleaning to everyone I know!" ​"Sage did an amazing job at cleaning both the inside and outside windows, plus the screens were also addressed at the same time. Great price point and we are pleased with their work. We will definitely use them moving forward." ​It's time to get your windows cleaned! Clean windows are wonderful--my house is so much brighter. Thank you Erin and Ramiro for the friendly, prompt and thorough service. The pricing was amazing, too! ​Ramiro and Sage Window Cleaning did a wonderful job on our Hotel. They are efficient, friendly and affordable! If you are in the business for window cleaning, whether commercial or at your home, Sage Window Cleaning is your best bet! "My experience with Sage was excellent. From initial contact to a follow up call asking if I was satisfied with the service, everyone was friendly and professional. And I am very satisfied with the outcome! I knew my windows needed cleaning but I could not have imagined how good they now look. Thanks, Sage!" ​"What a great service these folks provided. Quick, competitively priced and great communication and outstanding customer service. We will be happy to have them back. Thanks!" "Wow, the guys did a really terrific job on our windows. Plus they were such a pleasure to have around! We've used Sage before and we will continue to do so. Great customer service, reasonable pricing, and beautifully clean windows and screens." Very professional, thorough, and exceeded my expectations by pointing out areas that might help the exterior of our house like branches on the roof and gutter angles. Much appreciated. Highly recommend. WOW! My wife and I are very impressed with the fantastic work Ramiro and Nicola did for our huge house with many windows. These guys are very professional, at the same time very friendly too. They were able to do the job on one days short notice. Couldn't recommend a business any higher, and priced right too. Thanks so much Erin, Ramiro and Nicola! Foremost on our list of approval is Sage Window Cleaning was on time!!! The team did an excellent job on all the windows inside and out. The service was reasonably priced. We'll be calling on them again. Fantastic business! Sage Windows were prompt, affordable, friendly and my windows have never looked better. "Recommended! Quick estimate, flexible scheduling, reasonable pricing and high quality work done by nice people. And really nice to have clean windows, too." The best in town! Excellent job! Was able to do it the same day!! I was in a bind with my rental property and I needed the have the windows cleaned ASAP and they were able to do it. Professional, timely, and did great work! Highly recommend! Erin was very efficient on her estimate, and Ramiro did an excellent job on our windows. We would highly recommend them! ​"Ramiro was just here yesterday and everyone we touched base with from Sage was fantastic. What is even better, is we can see out our windows again! Thanks, Erin and Ramiro."